using 3D tape. The background is embossed with a snowflake embossing folder. I also randomly added some rhinestone stickers. This is soooo cool, love it. 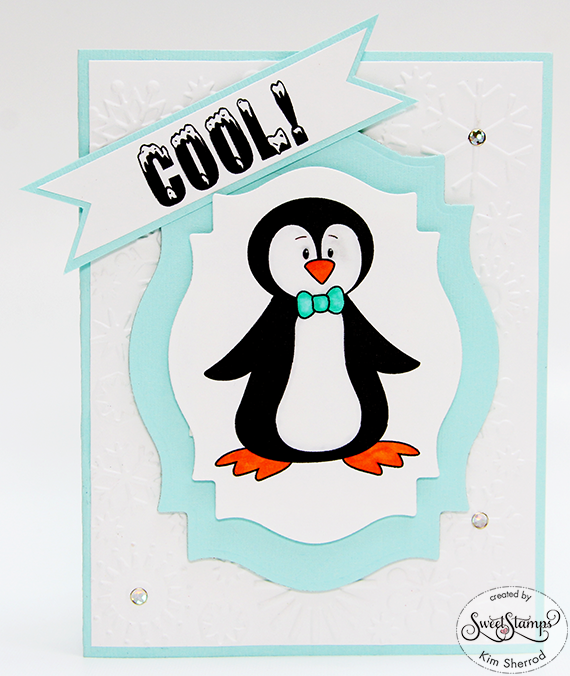 Love your "Cool" little penguin with the light blue and embossing. Thanx for joining us at Incy Wincy. Adorable! Thank you so much for entering our challenge at World Wide Open Design Team Challenge Blog Looking forward to see you again soon. He is adorable! Thanks for joining our "Let It Snow" Linky Party at Craftin Desert Divas!